JUST over a decade ago, Karl Stefanovic tied the knot with his beloved long-time partner Cassandra Thorburn at a private ceremony in north Queensland. Little has been known about the secret event, which sources say was held in part to cement the television star as a family man after his rise to the role of co-host of Today, until now. In attendance at the Port Douglas soiree that day were immediate family, close friends and trusted colleagues - among them, Channel 9 news executive Mark Calvert. 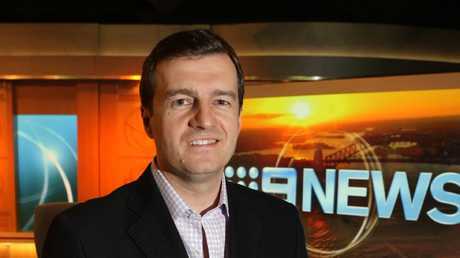 While it would be several years until Calvert took the reins as executive producer of the breakfast show fronted by Stefanovic, the pair were close. Overlooking the ocean near Port Douglas, just up the road from where Stefanovic went to school before beginning his career in regional broadcast news, Calvert spoke of his admiration for the rising star of Australia's small screen. On Wednesday, at the same time Stefanovic unpacked his suitcase at a luxury resort in Mexico ahead of his wedding this weekend to shoe designer Jasmine Yarbrough, his former mate was unceremoniously sacked. 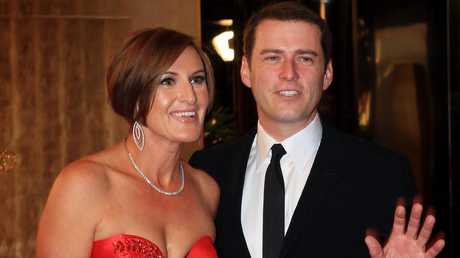 Karl Stefanovic and ex-wife Cassandra Thorburn around the time they wed in an intimate, private ceremony in Port Douglas. Jasmine Yarbrough and Karl Stefanovic will marry at a luxury resort in Mexico this weekend. As reported by news.com.au, there had been significant "tension" between Stefanovic and Calvert for the past few months. A spokesman for the network denied the suggestion that anything untoward had occurred. "Simply not true - just scuttlebutt. There hasn't been any tension between the two in relation to Mark stepping down." In a statement, Nine hinted that Calvert was leaving Today voluntarily, having grown tired of the pressure of demanding early mornings. "And there is no program on Australian television that is analysed, revised and criticised as much as Today. The hours are exhausting, the competition is intense and the media coverage - good and bad - is unrelenting," News Director Darren Wick said. Small screen insiders tell news.com.au that Calvert is indeed exhausted - not from the job so much as working with Stefanovic. "Karl is fighting a losing battle to save himself at any cost," a senior source, who spoke on the condition of anonymity, told news.com.au. "Poor Mark is the latest casualty. It's so disappointing - he was really respected … and such a great boss." "I presume (Nine announced Calvert had stepped down) because they needed a scapegoat to appease advertisers," a Nine insider said. "To say, 'Look, we've done something. It will get better now.' God help the next executive producer." Mark Calvert was once a close friend of Karl Stefanovic but was sacked yesterday. But as the source said, the problem is not who runs the show, but who sits in the chair in front of the camera. "If they don't fix the Karl thing, it will never work - regardless of whether they put God in charge as EP. Karl was and is the liability - not Calvert." It's understood that Josie Macrae, currently the Director of Content at Today, and Steve Burling, the boss of A Current Affair, are frontrunners to step into Calvert's suddenly vacated role. But with Nine confirming recently that Stefanovic is not going anywhere, many in TV land say the once-coveted role is now a poison chalice. "I wouldn't touch that job with a ten-foot pole," the Nine insider said. Calvert isn't the only former member of the Gold Logie winner's inner sanctum to be burnt over the past 18 chaotic months. He is one of several faces who might have been expected to join Stefanovic and Yarbrough's celebration this weekend, but who have been dumped and replaced, casualties of his effort to save himself at any cost. 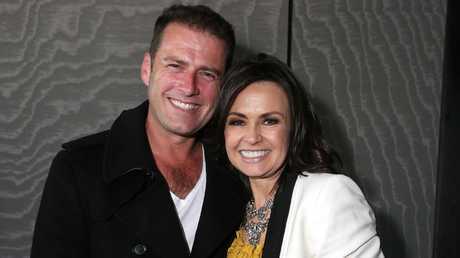 Lisa Wilkinson, who worked daily with Stefanovic for a decade, is no longer considered a friend. It was announced today that billionaire James Packer, one of his best friends, will also not attend. "Roxy Jacenko is there though," one bemused insider said of the attention-seeking Sydney publicist's arrival in Mexico. "That says it all." Karl Stefanovic was busted slagging-off his co-host Georgie Gardner. 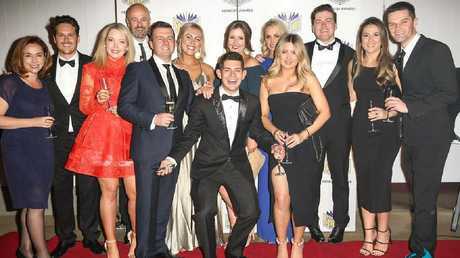 Up until recently, Stefanovic could do no wrong - including showing up to work drunk after the Logie Awards. 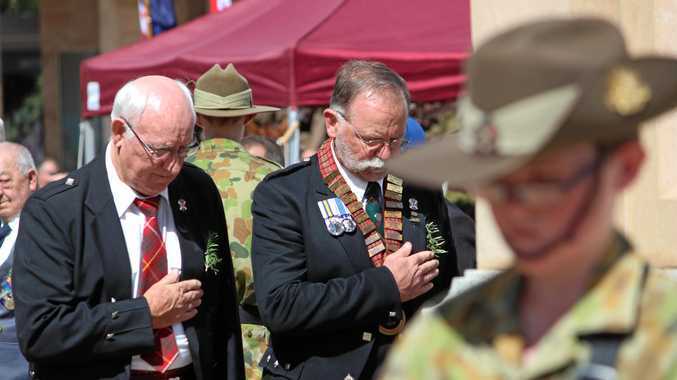 His larrikin brand was an asset, rather than a liability. But in September 2016, he announced his shock and sudden split from Thorburn, ending their 21-year relationship. 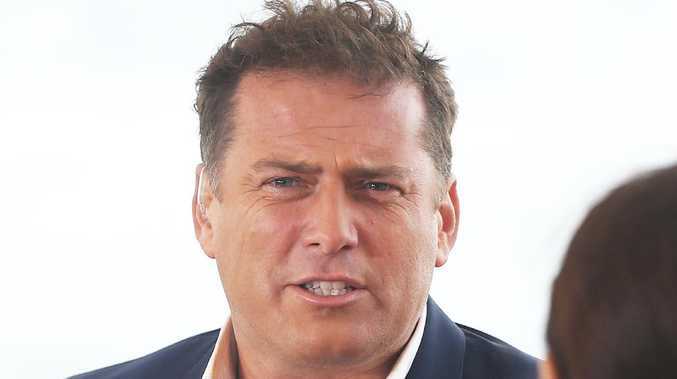 Stefanovic's swift rebound with Yarbrough raised eyebrows and, as one observer told news.com.au in September, was "the epitome of a midlife crisis". Karl Stefanovic with wife Cassandra Thorburn in happier times. Accompanying his new youthful wardrobe and attendance at fashion runway events and glitzy launches alongside a gaggle of 20- and 30-something socialites, were a string of scandals. The embarrassing gender pay gap dispute involving long-time TV partner Lisa Wilkinson and his well-publicised rant where he was overheard slagging-off of new co-host Georgie Gardner in the back of an Uber turned off viewers in the droves. He went from beloved to loathed, particularly among the crucial female demographic, and Today's already modest ratings slumped.